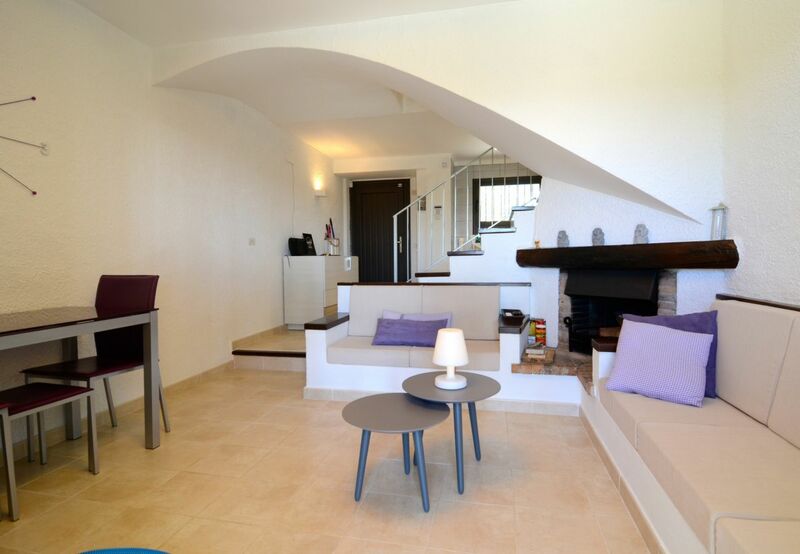 Thank you for visiting us at Estartit Holidays. Let us know what property ref. suits you best and we can get back to you with accurate availability, information, more photos and best price. Or we can personally search all properties for you - just let us know your main requirements, guest numbers and preferred location and holiday dates and we will reply back to you quickly with all suggestions of the most suitable holiday properties - with all information/best prices. With this personal service, we can also arrange special requests such as confirming if your apartment is "ground floor or top floor" has a "pool or sea view", arrange late check-outs and answer any questions quickly you may have about a villa you may be interested in or sending extra photos of parts of the property you would like to see more of before making a decision. All things almost impossible to do through instant online booking websites. 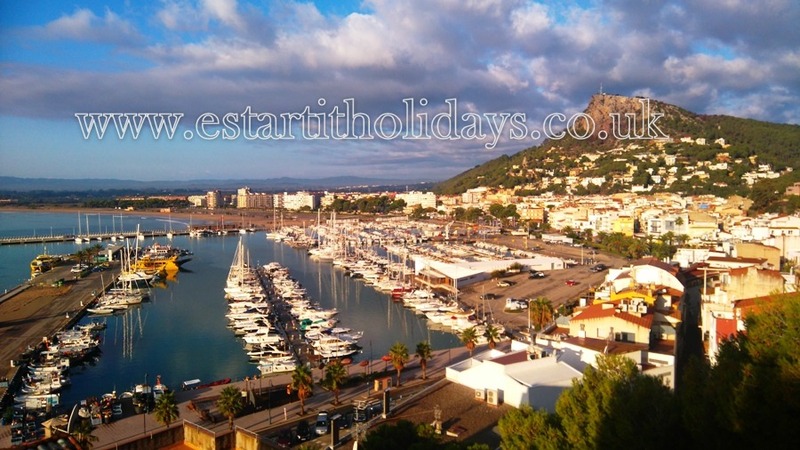 We work together with most of the Estartit offices and many owners. It takes less than 10 seconds and we may be able to get you a bargain! Please take a look around our website at the wide selection of properties we have available, but before you go, get your search started by completing the the short form below and we will send you a selection of properties that fit your request and at the best price we can get for you. You will notice that we do not display prices, this is because we always try to negotiate the best deal for you directly with the property manager. All part of our personal service. 3 bedroom villa in Torre Vella with private solar heated pool, BBQ, terrace, wifi, air-conditioning in the bedrooms, parking, dishwasher. 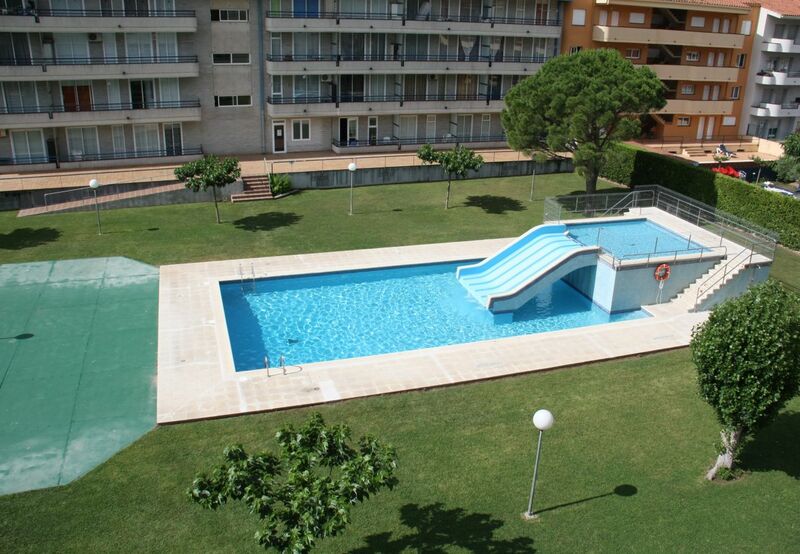 Well equipped 2 bedroom apartment with use of communal pool in L'Estartit centre. Air-conditioning in the lounge. Frontline Villa "25 Metres From The Beach"
Large Villa with Stunning Views "Sleeps 6 guests"
This Family fun beach resort with superb Marina, once a small fishing village, in the Spanish region of Catalonia at the northern end of the Costa Brava attracts families, couples, and diving enthusiasts. 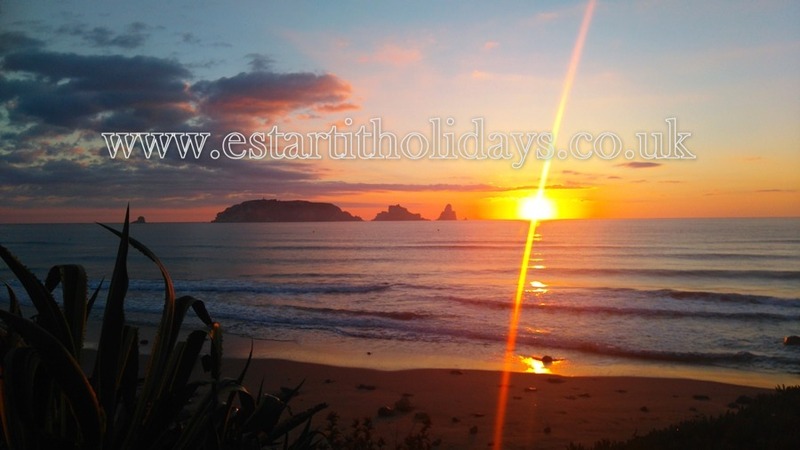 Estartit nestles at the foot of the splendid Roca Maura mountain and is popular for its golden sandy beach and famous Medes Islands, a marine isles conservation area. 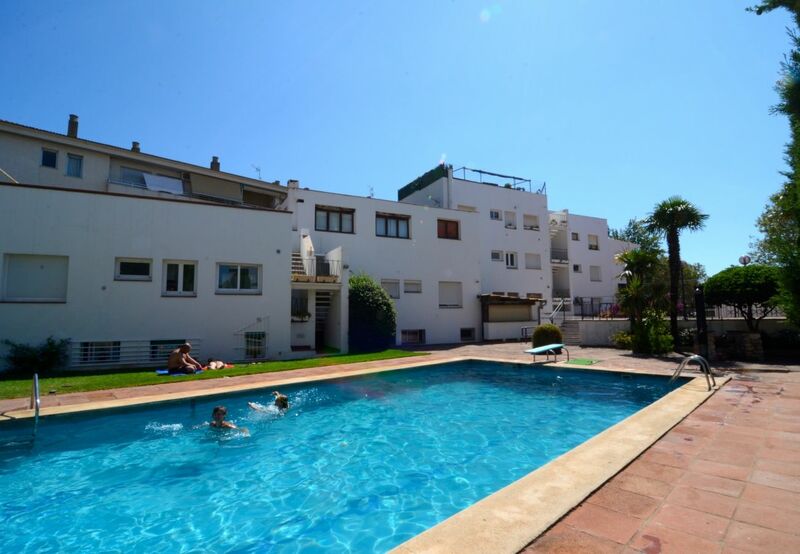 It boasts one of the longest beaches in the Costa Brava stretching past Los Griells, a quieter area with front line beach apartments on the outskirts of the main resort, along with some top villa choices. In the Summer months the town is vibrant with many different nationalities holidaying here. 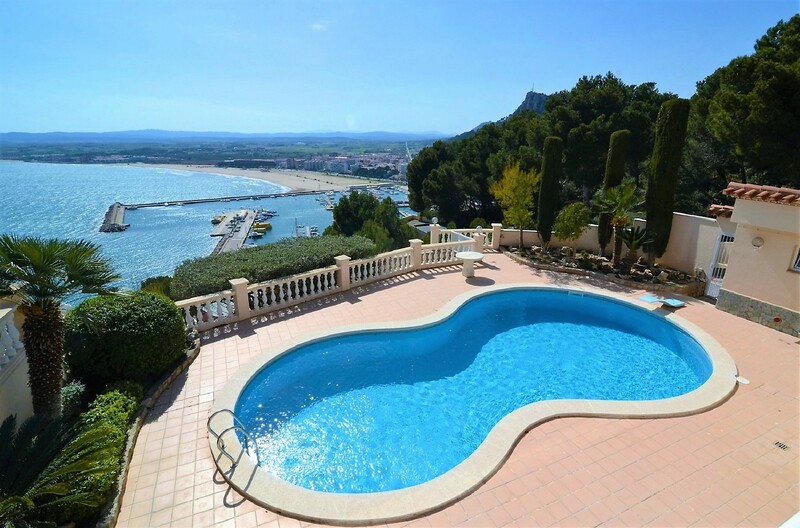 Find the best holiday apartment or villa in L'Estartit. 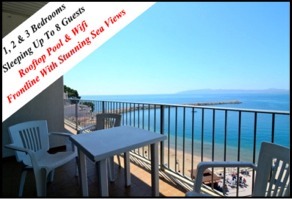 The largest selection of holiday homes in this popular beach resort on the Costa Brava. Well over 450 self catering holiday rentals in L'Estartit town centre and the surrounding urbanisations including Els Griells vacation houses. 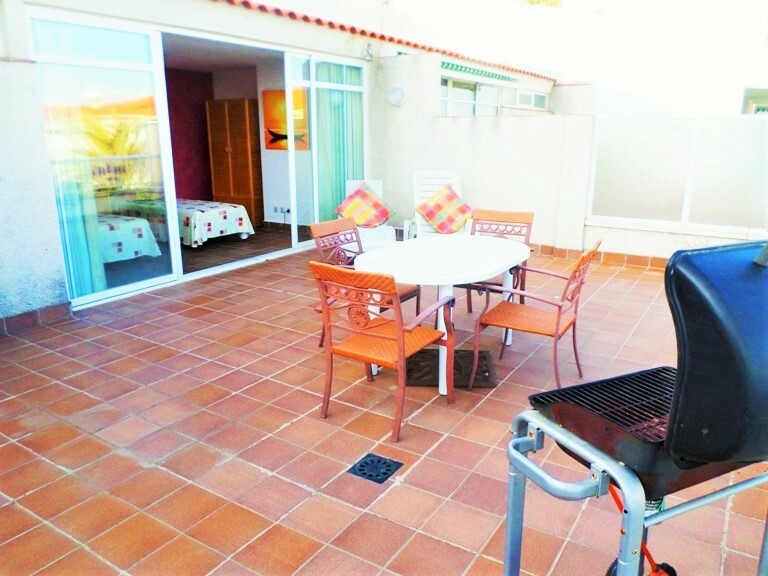 Los Griells is located at the far end of the resort, 15 to 20 minutes walk to the town centre. The beach at this end allows dogs and is a popular location for kite surfing. There is a supermarket close by and also a popular restaurant. Roca Maura sea view villas, this area is the hillside that overlooks the resort. 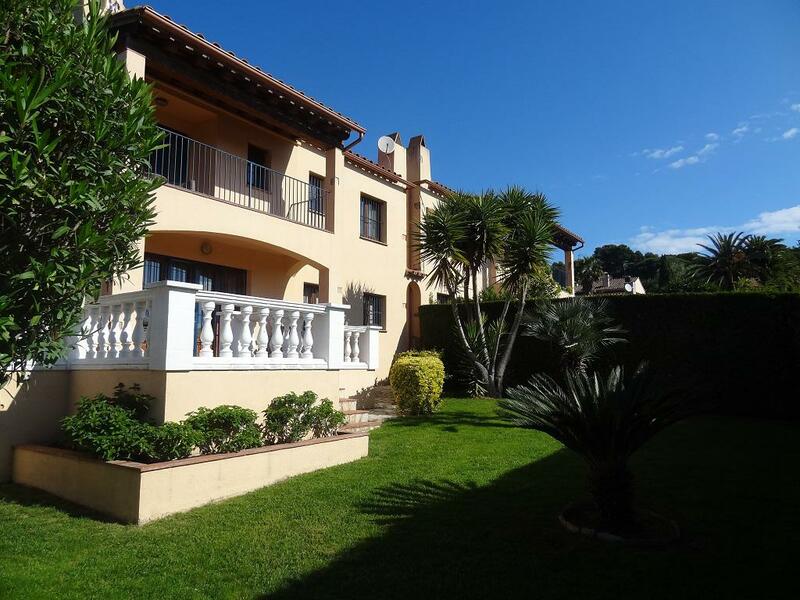 The main attraction of this area is the panoramic views many of the properties provide. A quieter location this is where most of the luxury villas in the area are situated. Torre Gran detached houses, a really nice area of urbanisations roughly 10 minutes drive from the beach a supermarket and restaurant in walking distance, this area is particularly popular with families and Torre Vella which tends to have more of the big detached villas with private pools and beautiful views over the countryside, close proximity to the popular Club Torre Vella resort with its restaurant. In all over 40 apartment complexes to choose from, a collection of 1, 2 and 3 bedroom apartments overlooking L'Estartit Port and Marina and Medas Illes. 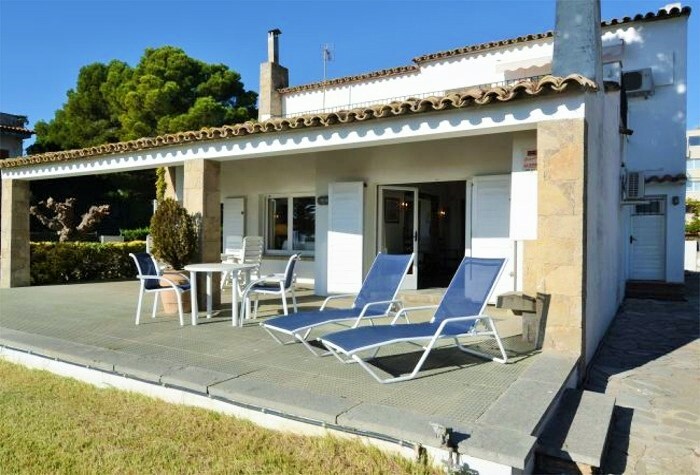 A great choice for families looking for a villa holiday in L'Estartit, with spacious gardens and extras including wifi internet connection and air-conditioning. 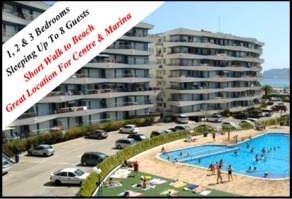 Looking for an accommodation bargain we have simple low cost flats also available. 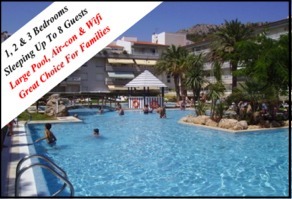 With low cost flights available to Gerona (40 kilometres away). 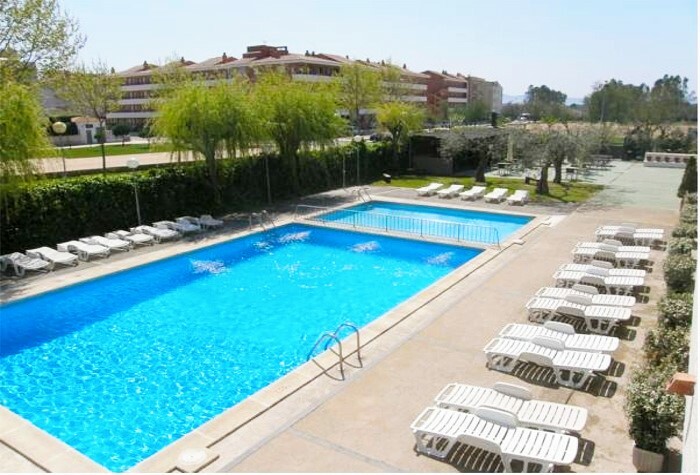 and Barcelona, great value accommodation on offer, fantastic sunny weather and wonderful beaches, restaurants and attractions, The holiday resort remains a very popular destination in the sun. 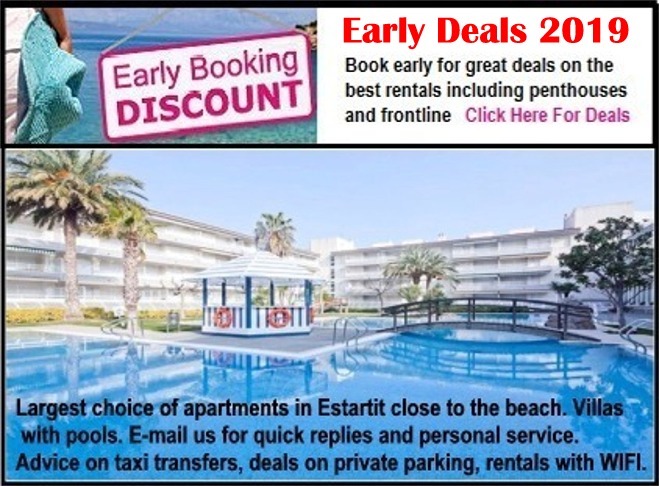 Book your holiday home today with Estartit holidays.